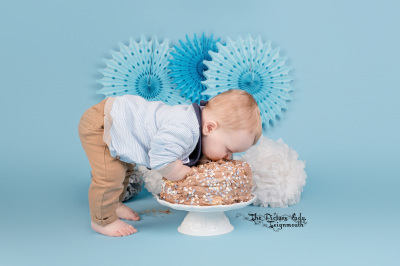 What better way to celebrate your child's first, second or third birthday than with a hugely enjoyable cakesmash photoshoot? Bring a child, a cake, some clothes and let's get smashing! What happens at a cakesmash? 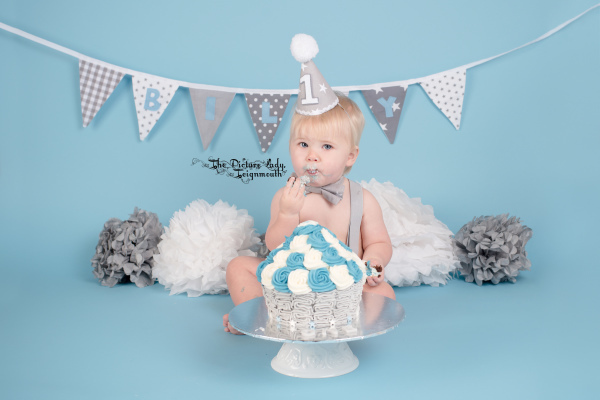 Firstly, The Picture Lady will do a mini portrait session of your child in a variety of cakesmash outfits. Bring as many outfits as you can. Next, we have fun smashing the cake you have brought along, getting messy and sticky and taking lots of action shots. Then, your child will have tub time for splashes and more giggles and photos. Finally, there's a quick dry down and a chance for more pictures.